Tired of worrying about your headphones falling out during exercise? Read on. Who: Jabra is part of the GN Group, which was established almost 150 years ago. They're currently the "only people creating consumer headphones, professional headsets and hearing aids under one roof." 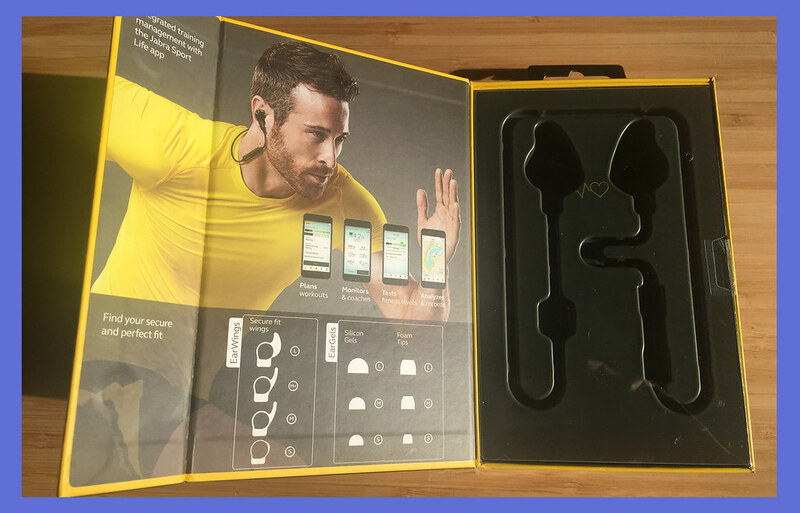 The product: The Jabra Sport Pulse are wireless, sports-focussed earbuds featuring an in-ear heart rate monitor. What comes in the packaging: A protective bag, secure fit wings (4 sizes), Comply™ foam tips (3 sizes), Jabra EarGels (3 sizes), and a rubber USB cable. 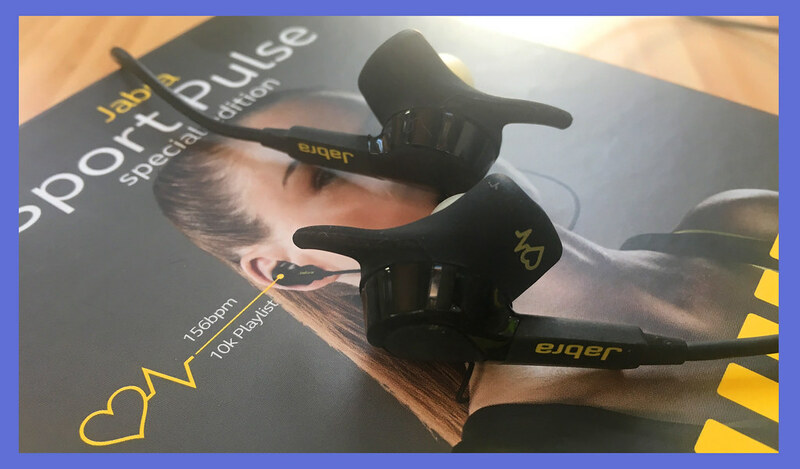 What are they selling us: The Jabra Sport Pulse is "the world’s first sports headphones with automatic VO2 Max measurement." According to the press release, it features "immersive sound and real-time voice coaching to help you reach your goals." If you use the Comply™ foam tips, Jabra promises "superior sound quality, passive noise cancellation and enhanced bass." They also promise up to 5 hours (including heart rate monitoring) of talk/music time, with a full charge taking 2 hours. It's hard to really judge in-ear headphones from a design perspective. The window of a potential mess-up us is pretty small in comparison to giant cans, but some companies have missed the mark - just look at the truly-wireless trend of the past two years for plenty of examples. Thankfully, the all-black colourway with touches of neon-yellow (the tips and the branding) found on the Jabra Sport Pulse is safe without being bland. It's nice and sturdy and comes with a 3-year warranty against sweat damage, which is reassuring. About the only thing I disliked about the build quality was the pouch that they've thrown in. It's almost as if a market researcher told them that most people don't use them, so they just didn't bother putting the effort in. I know that sounds petty, but I'm a petty person. There's always a trade-off to consider when using headphones while you exercise. If you go with the in-ear approach, you're losing the weight associated with cans, but there's always a fear that they'll fall out of your ears (unless you've gone down the Powerbeats route). And obviously, the pros and cons are flipped if you go with over-ear headphones. 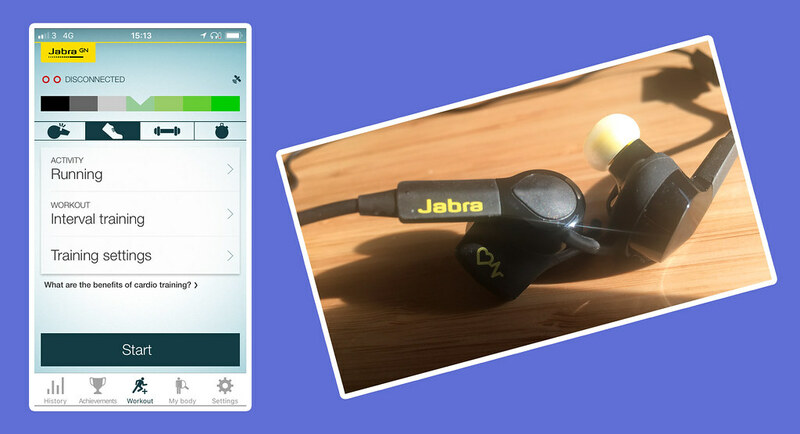 Thankfully, the Jabra Sport Pulse navigates the 'fit' issue better than any other in-ear headphones I've tested. Rather than relying solely on the ear wings to keep them secure, the part which houses the heart rate monitor on the left bud, and the charging port on the right bud, lodges itself in the space directly above the earlobe (I believe it's called the Anti Helix, though don't quote me on that) - giving you a tight, but comfortable fit. To be able to run without getting The Fear is an incredible feeling, and why I've raved about them to my 5K friends over the past few weeks. There's definitely an upgrade in sound if you go with Comply™ foam tips, especially from a noise-cancellation perspective, but ultimately I don't feel like the sound quality is what sets these headphones apart. That's not to say that it doesn't contribute towards the price-tag - they're certainly a massive step-up from whatever came packaged with your smartphone - but as much as they're not going to disappoint you, they probably won't wow you either. However, the fact that they feature an in-ear heart rate monitor puts them in an entirely different conversation. I have a bunch of different gadgets for monitoring my runs because I'm a massive analytics nerd, but nothing seems to be the perfect fit. I have a Series 1 Apple Watch, which is great for storing music and for monitoring my heart rate, but I still need to bring my phone with me to take advantage of GPS. I have the TomTom Spark Music watch, which has the music and GPS but doesn't have a heart rate monitor. With the Jabra Sport Pulse, I still need to take my phone with me for the GPS, but that's it. To take advantage of the heart rate monitor, all you need to do is download the Jabra Sport Life app (iOS and Android), and follow the easy-to-understand instructions for pairing/setup. You then have access to an impressive training app which can be used to plan and monitor your performance - including automatic VO2 max tracking. Another impressive feature is the Recovery Advisor, which gives you a better understanding of when to rest. My absolute favourite aspect of the app is the heart rate zone training. I can set a zone I'd like to stick to - and I'll get live feedback to tell me if I need to push the pace or slow down. This has been invaluable for me as I'm a 10k max runner looking to run a half-marathon later in the year, and this has helped me increase distance without burning out. The five hours (including heart rate monitoring) of talk/music time they promised is pretty accurate from the testing we've done. That still might not be enough for people looking to use them outside of the context of exercise, but for me, it was more than adequate. As previously mentioned, these won't be my go-to headphones for evaluating music, but given the sports approach, once you start to think about the fit, the heart-rate monitor and the first-class app, the price (£134.99) seems more than fair. You can purchase these headphones by heading here.